Lane Tech’s home stadium and a city championship game are a familiar combination for team parents and others Northside faithful. For the third consecutive year, Northside women's lacrosse was about to take on Lane Tech for the Chicago Public Schools championship. Despite high energy, an eagerness to win, and strong teams for the last three years, Northside has been unable to prevail over Lane. With the elusive city championship falling just outside of reach, each new season brings about an intense wonder, and hope for a victorious city closer. 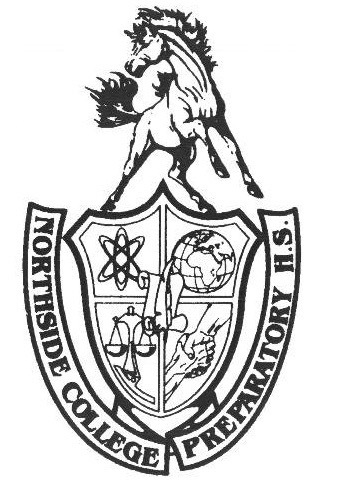 On this Thursday the 17th of May, the Northside girls trickled into Lane’s stadium for their 6 p.m. start time, many arriving after finishing their AP exams for the afternoon. Pregame chants occupied the stadium airspace, echoing back and forth between the teams. Refs inspected sticks, players paired off and spread out, and the game was set to begin. Spectating from the East side of the bleachers was a healthy crowd, perhaps 80 strong, consisting of a mix of Northside students, parents, and Lane Tech fans. Lane came out of the gates with a strong offensive front; sprinting up and down the field for fast break opportunities, and overpowering the Northside defense. Following two early high shots, blocked by Northside goaltender Humayra Munshi, Adv. 903, Lane’s ball began to find net. Within the first 10 minutes of play, Lane had garnered a 6-0 lead. The ‘Stangs, following a timeout, were able to reset and collect themselves. For the rest of the half they were able to slow Lane’s attack, and managed a fast goal from midfielder Lily Root, Adv. 002, on a counter attack. Lane Tech found themselves up 8-1 at the half. Despite the scoreline, neither Northside nor their fanbase seemed ready to give in, with the second 25-minute half period providing hope for a come back. “It was a tough game, it really was.” said Munshi. “I think it was really hard for us to get control of the ball. The Lane Tech girls are pretty ruthless, and they know how to dominate the field. I'd say that they had the ball most the time, whether they'd be driving it to goal or setting up their attack. That's definitely where we were lacking: possession.” Unfortunately, Lane Tech’s dominance of possession continued into the second half, with Northside goal chances few and far between. In the second half, senior midfielder Maeve Masterson, Adv. 804, scored a pair of goals, and midfielder Audrey McManus, Adv. 900, tacked one onto the statline herself. Despite a notable defensive performance by Nicole Heflin, Adv. 803, Lane’s superior speed and continuous pressure proved to be too much to handle, leading to a 15-4 final score. Mar 6 Women’s Lacrosse: How prepared are they for City Playoffs?